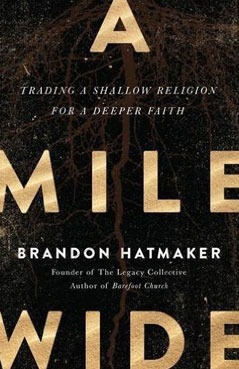 A Mile Wide challenges it's readers to exchange shallow living for a deeper life filled with purpose. It's a journey toward self-discovery leading to a new identity, better community, fresh perspectives, and a growing justice. Drawing from his more than 20 years of experience working in non-profit spaces, Brandon Hatmaker proves to readers that serving others is not meant to be just a trendy act or event, but a life changing pursuit leading to authentic community and purpose. "Inspiring, direct, courageous, powerful, and timely. Hatmaker 'gets it' and gives a wake-up call." 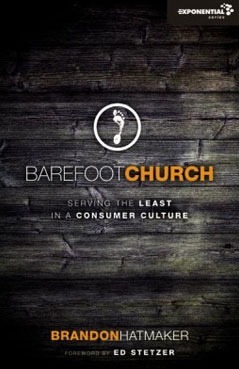 ​In A Mile Wide and Barefoot Church, we read stories of transformation and a new kind of community resulting from the essential power of serving together. 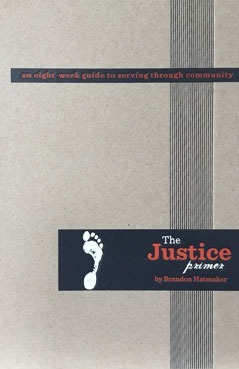 In The Justice Primer, we'll take 8 weeks to study the essentials of engaging Justice through community. It will be a challenging, risky, and ultimately deeply satisfying adventure as we work together to grow and become what we were made to be.